Preface: After my Vaughn V3 knee guards went soft in the landing wing and started causing bruising on my knees I upgraded to the Bauer Supreme yellow and black knee guards, a lot of this review will be referencing those knee guards as a benchmark since they were both excellent knee guards in terms of protection and value while also being the direct predecessor to the Bauer Supreme 1S OD1N knee guards. 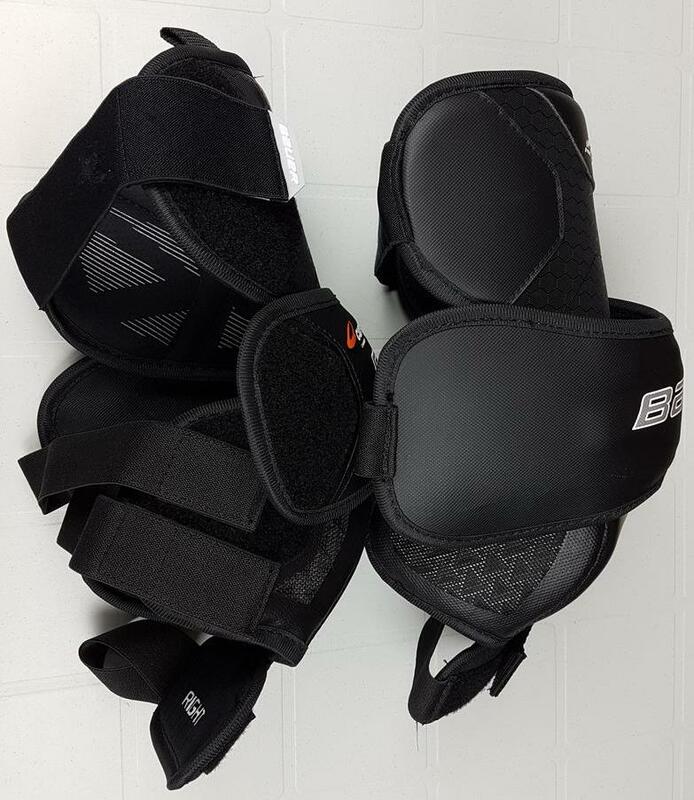 When I bought my Warrior G2 Pro pads they came with a set of Warrior G2 Pro knee guards, so I decided to sell my original Supreme knee pads and stay with the knee guards that were designed to be used with my new pads. 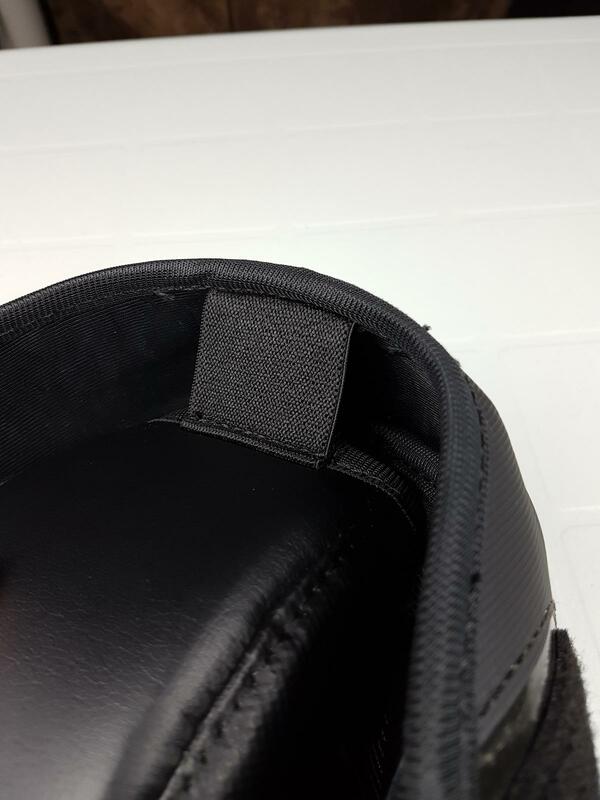 I noticed that the Warrior Ritual G2 Pro knee guards were good, but I could feel hard shots on the outer knee shell area to the point that I started to fear about the well being of my knees if a really hard shot managed to hit the knee guards dead on. 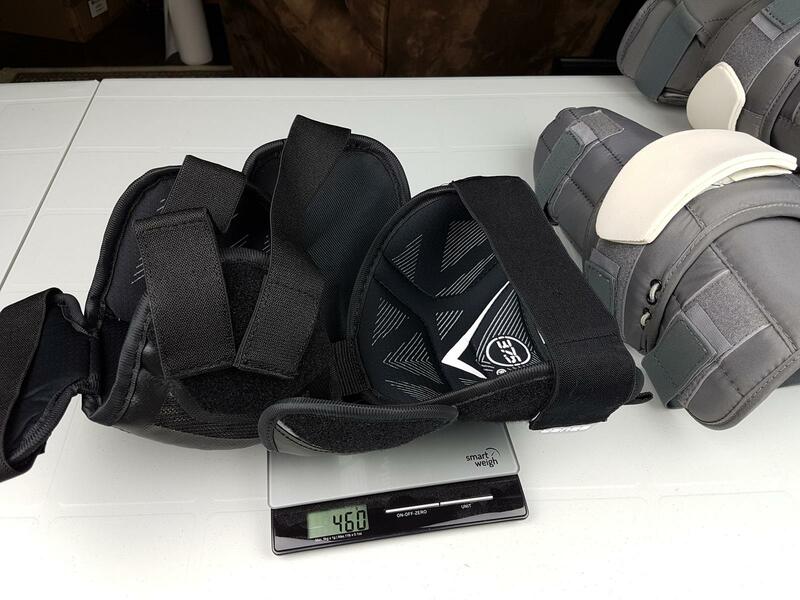 Check out my review on them to see more details on this issue, but I bring this up here since I decided that I wasn’t satisfied with having to modify those Warrior Ritual G2 Pro knee guards and started searching for my next pair. That search also went along side with my search for a new chest and arm protector, and the newly leaked and teased Bauer 1S OD1N line made it to the top of my list. 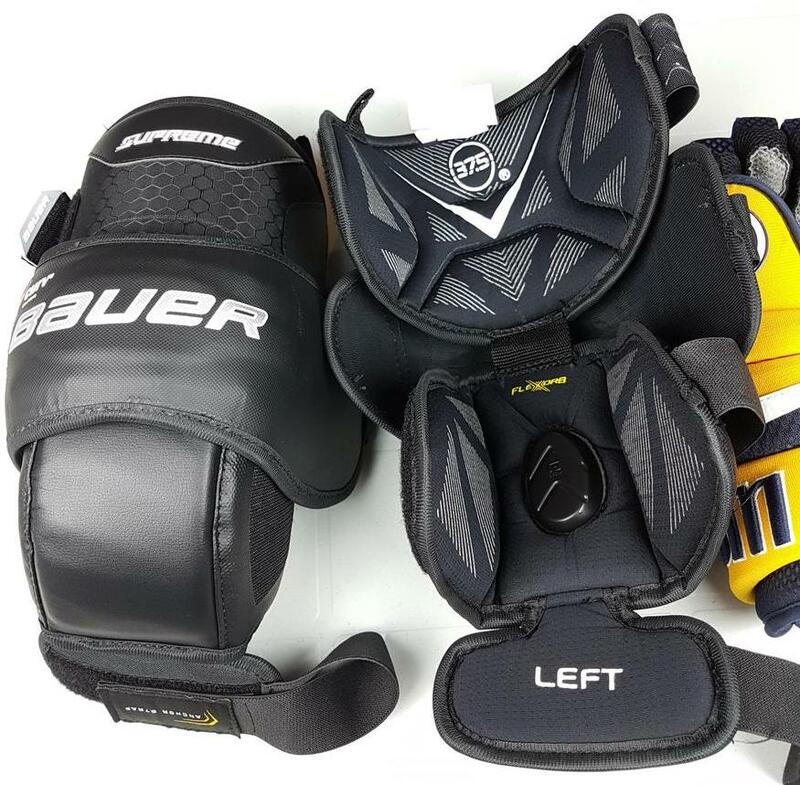 I got a chance to see the line of equipment in December of 2015 and the chest and arm protector was immediately written off as not being protective enough or made well enough, but at the time I was pleasantly surprised by the knee pads and got excited over the idea of Poron being added and Curv being used instead of plastics for the outer shell. Looking back now I really wished I linked the two pieces of equipment together as my issues with the 1S OD1N chest and arm protector translated to the knee pads as well. Comfort: The original Bauer Supreme knee guards they were the most comfortable knee guard I ever wore… for the first few months. The issue I had with them in terms of comfort was the anchor strap and the inside of the knee landing area breaking down too quickly. 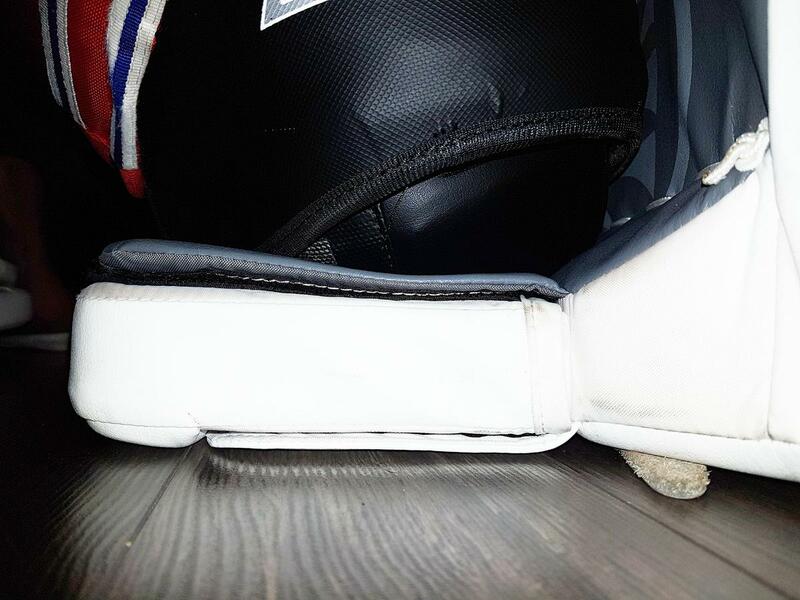 I used to wear pro return Bauer X60 pads that had a solid plastic landing block, something that really tested the quality of knee pads and after a few months the Bauer Supreme foams began to wear down and compress and my knees began to feel the brunt of the impact. 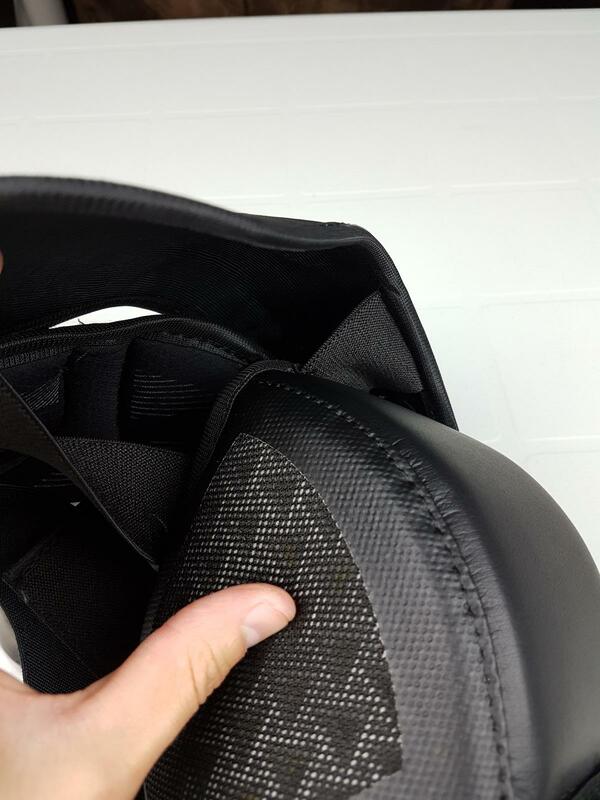 On the Bauer Supreme 1S OD1N knee guards the inside (and outside) of the knee area is made of Bauer’s Vent Armour, an almost rubber feeling material that is ventilated for airflow. This material is used throughout Bauer’s protective lines and I have experienced it in the Supreme NXG player girdle, and it stood the test of impacts well and it seems to hold its shape and doesn’t compress like more traditional foam options. 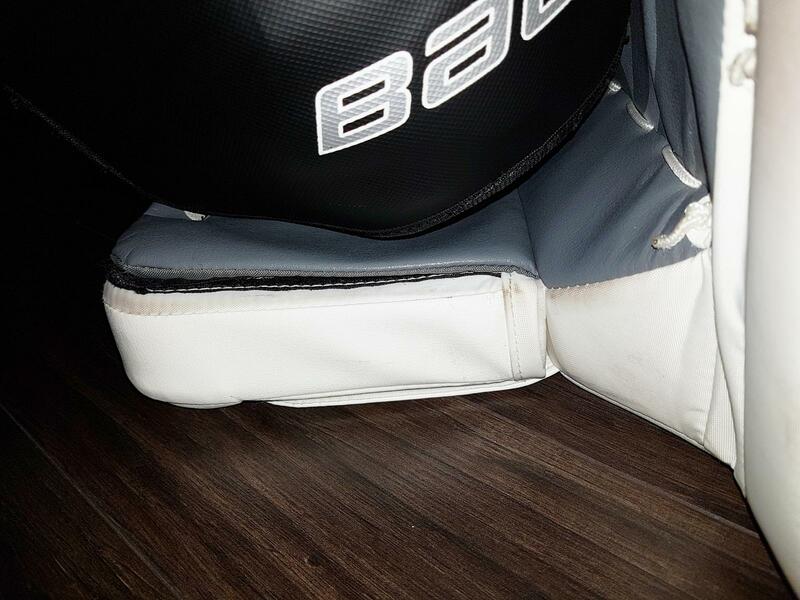 I feel this Vent Armour is a nice addition to the knee wing areas for a bit added protection but also added durability, but that also means the comfort of that knee area is worse than on the original Bauer Supreme knee guards when they were new. Bauer also got around to using PoronXD G-form (or whatever they are calling it this time), which is a very welcomed addition and was something people have been wanting since the release of their goalie specific Bauer Elite Padded Knee Guards. But I think Bauer put the extremely soft Poron one of the most useless spots in these knee pads and that is right on the front of the knee. 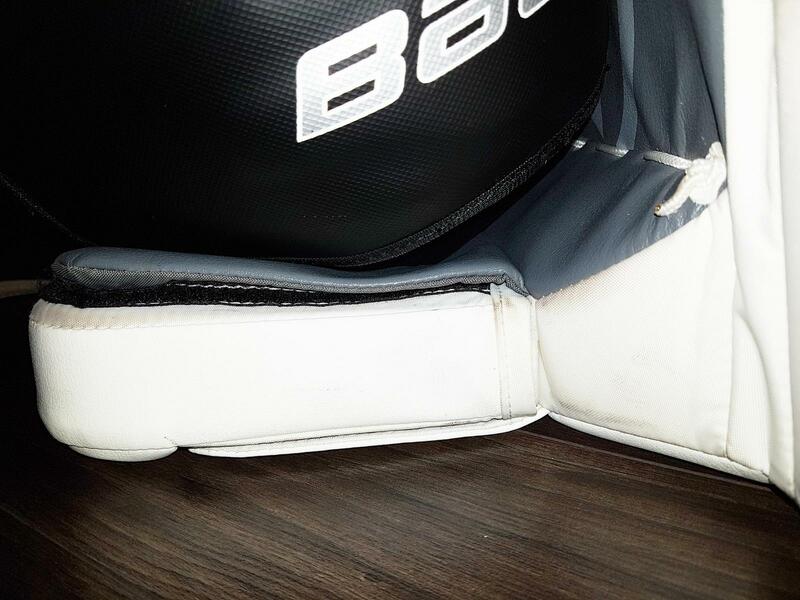 Firstly, unlike the Bauer Elite Padded knee guards, the Poron on the Supreme 1S OD1N knee guards is extremely soft to the point that it doesn’t really seem to offer much protection or comfort in its use (see the video on how easy it is to compress the foam here). For me, when I drop into the butterfly I never land on the front of my knee anyways, but instead always end up on either the inside knee wing (where the Vent Armour is) or on the seams between the wing and the front of the knee guard and thus my style renders the use of Poron in this area pretty much useless. I really feel like Bauer cut corners here in regards to the use of Poron in order to cut costs, they had the opportunity to add the soft foam all around the landing area of the knee and in my opinion took a cheaper and easier approach to check off a box on the feature list (that is to include using their proprietary PoronXD foam). My other gripe about comfort in the knee area is where the Flexorb logo is on the top of your knee, which is one of the harder pieces in the entire knee guard. While I found this specific area uncomfortable while just wearing the knee guards I must admit I never had an issue with it when I was actually playing. 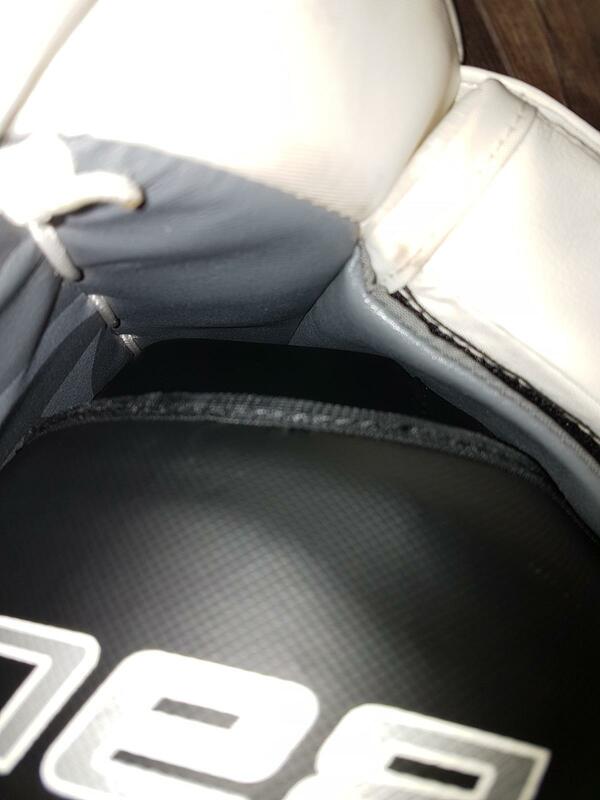 I asked in my preview video why there is a hard piece of material in this location and it was suggested on Goaliestore BB that it was perhaps to help keep the knee guard in place, which could be the answer but I feel that this hard piece of material leads to the biggest problem I had with these knee guards (which will be discussed later on). While I am never a fan of Anchor Straps since I hate the feeling of them on my shins, the Bauer implementation was much better than the Reebok P2 version I’ve used in the past. That isn’t to say that the Anchor Strap is without faults as I feel Bauer could’ve attached this strap to the outside of the knee guard and that would’ve ensured that you would not feel the seam of the two pieces on your shin, but perhaps that would mitigated the effects of the Anchor Strap itself. Protection: The original Bauer Supreme knee guards were one of the best values on the market in terms of protection, comfort and price, so when Bauer added more of their proprietary materials and made an updated and upgraded knee guard one would expect the protection to increase as well. Unfortunately that was not the case at all with the Supreme 1S OD1N knee guards. 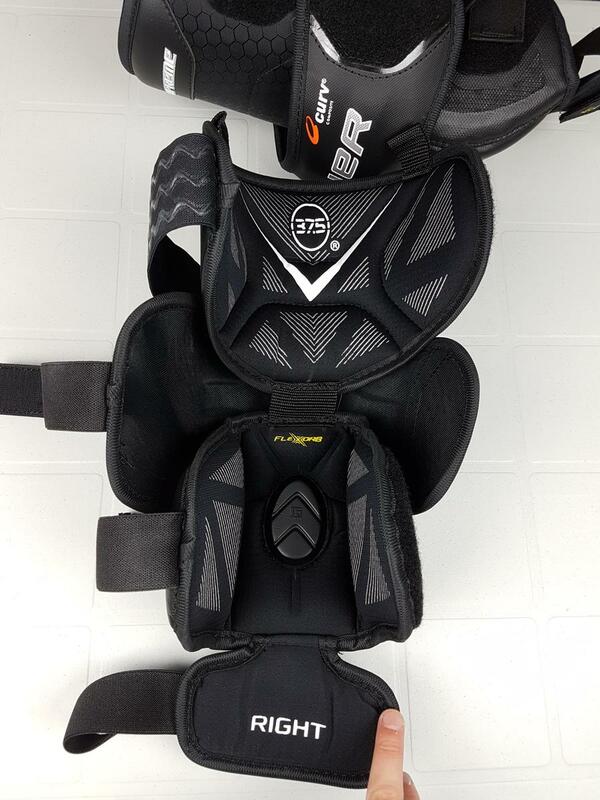 Poron and Vent Armour has been used in other lines of equipment as adding to the original protection or being a protective piece on their own, yet for these knee guards they are only used as landing areas. The actual protective areas are left to standard plastic and foams with the exception being the Curv composite outer shell. I thought since Curv is composite in construction it would have carbon fibre like impact dispersion properties, and perhaps it does, but when the only thing between your knee and a solid piece of Curv is another solid piece of material (I think it is made of hard foams, but I am not sure) with very little give your knee ends up taking the impact without much force dispersion. The clip below shows the shot which left the swelling and mark on my knee which can also be seen below. By no means should I have felt that shot on a pair of “Pro” level knee guards, let alone end up in pain afterwards. The game this incident happened was in low level hockey, if I was playing in one of my other higher leagues I am unsure if I would’ve been walking the next day. Now I fully accept that my VH play here was atrocious and my knees shouldn’t be exposed that much, but I am confident the puck did indeed hit the Curv area and not lower because after the game I did some tests by smashing my other knee and anything on the lower portion of the Curv shell felt like it transferred the force of the impact directly onto the top of my knee. In the picture below I discovered that when on you knees, the Curv ends up being the only protective material in front of your bare knees. 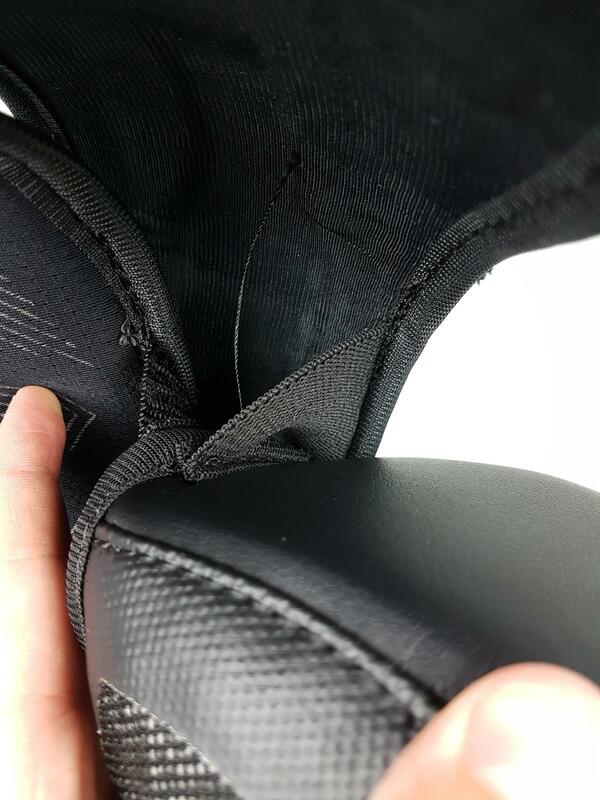 There is no softer foams here or any real force dampening materials between the composite Curv shell and your bare skin, there should be at least a layer of soft foam behind the Curv shell. 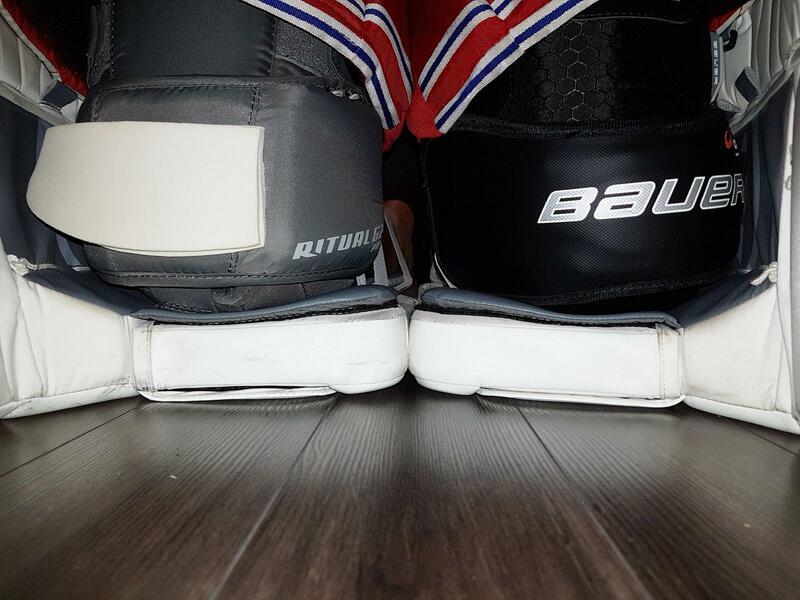 I no longer felt like my knees were protected in the Bauer Supreme 1S OD1N knee guards. Showing that there is not protection behind the Curv shell, all impacts are directly translated to your knee and skin. 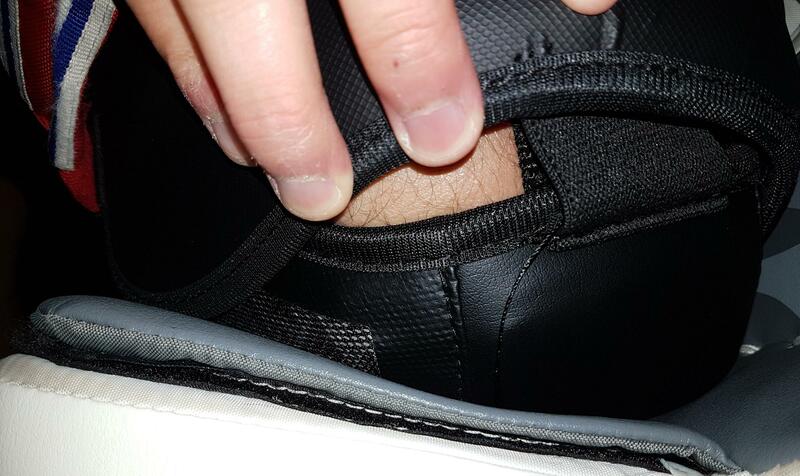 There is no protection behind the Curv shell besides the very hard foams on the top of your knee. While it isn’t a huge mark or swelling, since the shot that did this was so weak it was suprising and simply unacceptable. Showing the top of the knee padding, where it consists of just very hard foam. How they sit in your cradle. Showing how they sit in the knee cradle when your leg is outstretch and not straight together. Here the PoronXD is never touched by my knee and it is completely on the Vent Armour. 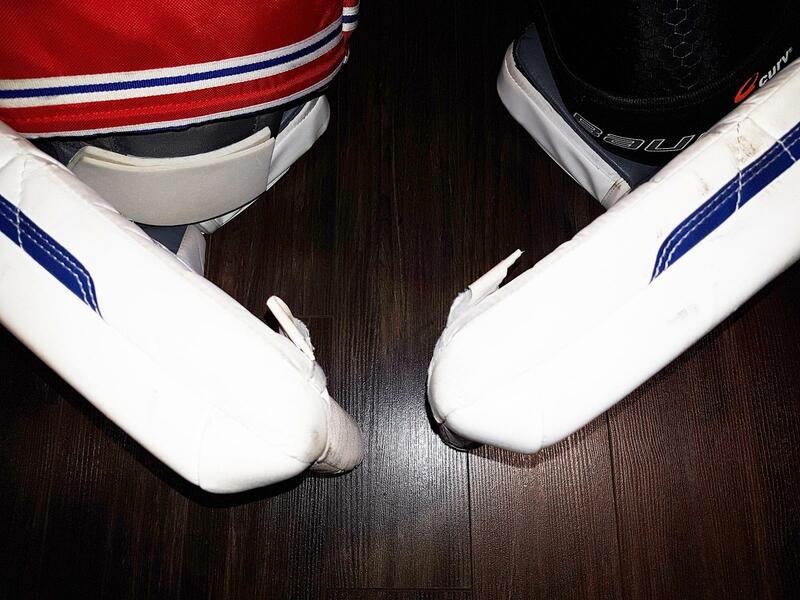 Another image on how they sit, all of my body weight is on the knee wing and the inside of the Bauer knee guard. Another image on how they sit. The Vent Armour is less comfortable that the previous Supreme standard foam, but I believe it would last longer. Heavier, yet less protective than the Warrior G2 Pro with my modification. The following are pictures of when they were brand new. Thanks for confirming that the OD1Ns have garbage protection. I thought I was doing something wrong having a third bone bruise in a month and a half but your review verifies that they should not be used for anything above E level bender hockey. I took a slapper right to the inside of my right knee at a B game last night and I couldn’t even put weight on my leg. Today I’m limping around in constant pain wearing a knee compress and I’m done with hockey for at least another week–again. Hoping to find a pair of CCM Pros now, the Bauers are going straight in the trash.